This beautiful residence with 16 apartments in various compositions and large swimming pool, has a fantastic view of Lake Como and the surrounding mountains. I know the owner for about 10 years and currently he is the mayor of an authentic village on Lake Como. 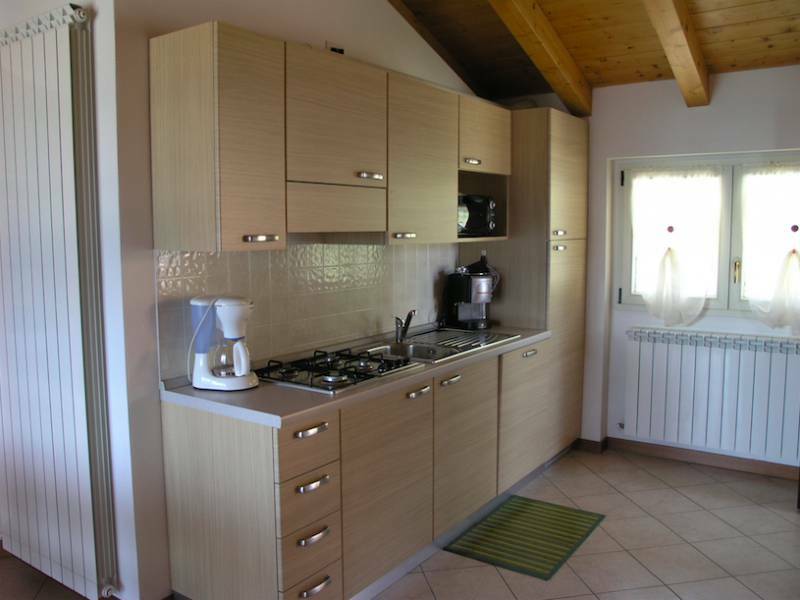 The residence is a little on the mountain just 3 kilometers from a pleasant village on Lake Como. The northern tip of Lake Como is known for its excellent water sports such as surfing, kite surfing and sailing. There are several sailing and surfing schools, marinas and boat rental companies located. The village has an authentic little fishing port in the center and a promenade which becomes a kilometers long path along the lake. The path is ideal for walking and jogging and at the various campsites along the lake there are bars and terraces. My favorite terrace is next to the surf school, with wonderful views over the lake. The surrounding mountains are ideal for hikers, mountain bikers, paragliders, hang gliders and climbers. In the village there are shops, supermarkets and restaurants (also to be reached by a footpath of 1,5km) and at 12 kilometers is a large indoor shopping center (Iperal Fuentes). Just 200 meters from the residence in a small village there is a bakery, bar and mini market. There is also a pizzeria with wood oven from where you have breathtaking views over the lake. The residence has a so-called infinity pool (12x8 meters) where you have beautiful views of the lake and mountains. There is also a large children's pool (5x2,5 meters) and sun loungers. There is a small playground and a shared BBQ. There are a total of 16 apartments spread over two houses and all with a private terrace or balcony with garden furniture and some also with a little garden. The decor is modern and functional and the apartments are equipped with satellite TV and WIFI. There is also a shared laundry room with washer and dryer and a space where you can store your mountain bike and surfboard. In the basement is also a room with 2 ping pong tables and table football. Beautiful residence with apartments of various types and large swimming pool with stunning views over Lake Como. 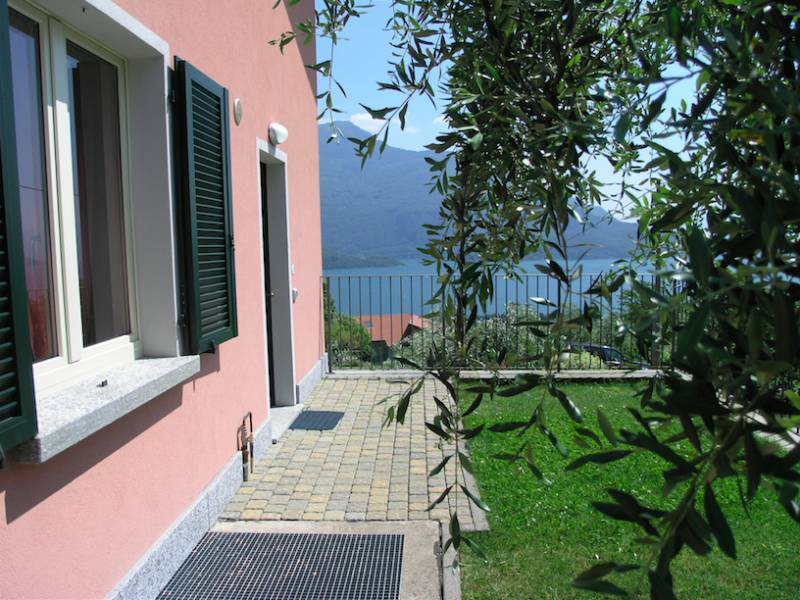 Very centrally located in the northern tip of Lake Como near picturesque villages and lively beaches on the lake. Apartment on the ground floor with living room and open kitchen. The apartment has 3 bedrooms in total: 1 for 3 persons (1 double and 1 single bed) and two bedrooms for 2 persons (2 single beds). There are two bathrooms, one with bath. From the living room you have access to your private terrace of 38m2 with garden furniture and garden of 50m2. From the living room you have access to your private terrace of 35m2 with garden furniture and garden of 70m2. Apartment on the 1st floor consisting of living room with open kitchen, 2 bedrooms and a bathroom. One bedroom has a double bed and the other has 2 single beds. The apartment has a private balcony of 7m2 with table and chairs. Apartment on the 1st floor consisting of living room with open kitchen, 2 bedrooms and a bathroom. One bedroom has a double bed and the other has two single beds. Apartment on the 1st floor consisting of living room with open kitchen, 3 bedrooms and 2 bathrooms, one with bath. One bedroom has a double bed and the other two bedrooms each have two single beds. The apartment has a private balcony of 19m2 with table and chairs. Apartment on the top floor consists of a living room with kitchenette and sofa bed, a double bedroom and a bathroom with jacuzzi. The apartment has its own covered balcony of 19m2 with table and chairs. Apartment on the ground floor consists of a living room with open kitchen, 2 bedrooms and a bathroom. One bedroom has a double bed and the other has two single beds. The apartment has a private garden of 25m2 with table and chairs, adjacent to the garden of apartment H, and has no view of the lake. Apartment on the ground floor consists of a living room with kitchenette and sofa bed, 2 bedrooms and a bathroom. One bedroom has a double bed and a single bed, the other bedroom has two single beds. The apartment has its own little garden (adjacent to the garden of apartment G) with table and chairs and is partly located behind the yellow house and therefore has no lake view. Apartment on the ground floor consists of a living room with sofa bed, kitchen, two bedrooms and a bathroom (suitable for the disabled). One bedroom has a double bed and the other bedroom has a bunk bed. The apartment has its own little garden with table and chairs, but is located behind the yellow house and enclosed between other apartments and therefore has no view. Apartment on the 1st floor consisting of a living room with kitchenette and sofa bed, 2 bedrooms and a bathroom. One bedroom has a double bed and the other bedroom has two single beds. The apartment has a private balcony of 10m2 with table and chairs and stunning views of the lake. Apartment on the 1st floor with living room with sofa bed and a kitchen. The apartment has a total of 4 bedrooms: two with a double bed and two bedrooms for 2 persons (2 single beds). There are 3 bathrooms. The apartment has a private balcony with stunning views of the lake. Apartment on the 2nd floor consisting of living room with open kitchen, 2 bedrooms and a bathroom. One bedroom has a double bed and the other bedroom has two single beds. Apartment on the 2nd floor consisting of living room with open kitchen, 2 bedrooms and a bathroom. One bedroom has a double bed and the other bedroom has two single beds + a sofa-bed. The apartment has a private balcony of 15m2 with table and chairs and stunning views of the lake. Apartment on the top floor consists of a living room with open kitchen, 2 bedrooms and 2 bathrooms. A second bedroom has a double bed, the other has two single beds. The apartment has a private balcony of 16m2 with table and chairs and stunning views over the lake. Apartment situated on the ground consisting of a living room with sofa bed, kitchen and two bedrooms and a bathroom. One bedroom has a double bed, the other has two single beds. 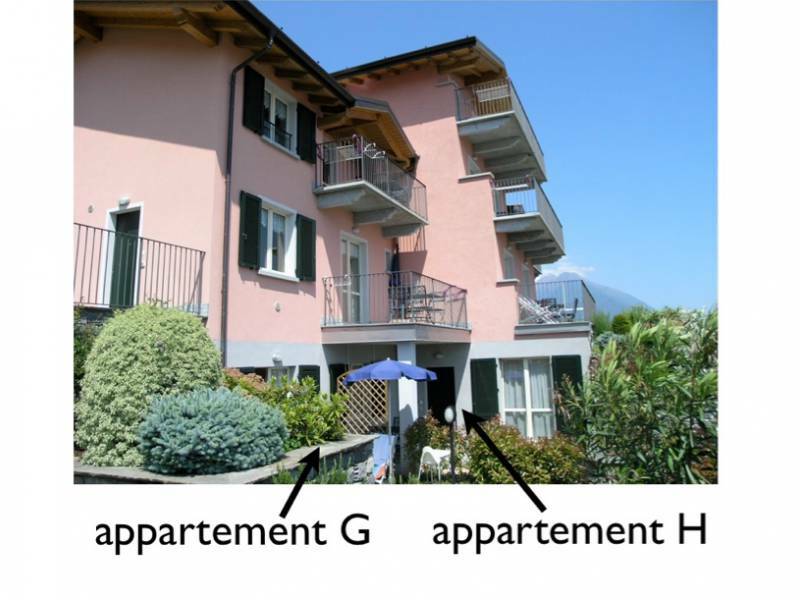 The apartment is located directly under the swimming pool and behind residence 110 (of the same owner) and therefore has no view of the lake. 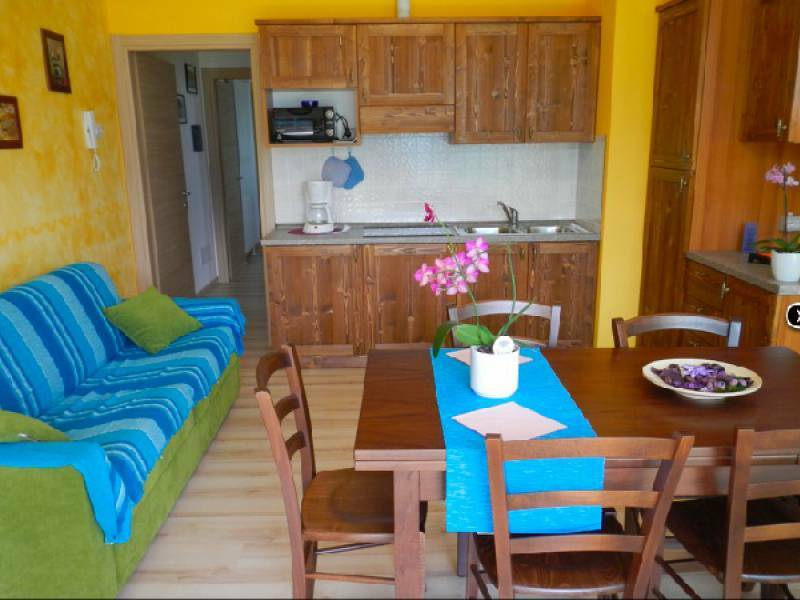 For each additional person ( maximum two more persons for each apartment): € 15 per night. Note: In season III and IV minimum stay of 1 week (Saturday/Sunday to Saturday/Sunday). In season I, II min. 3 nights.